Andy is an experienced divorce and family lawyer with Woolley & Co, Solicitors. He has built an enviable reputation in the Derbyshire and Leicestershire area. He deals with all areas of matrimonial law, including divorce, children matters, financial settlements as well as civil partnerships, separation, cohabitation and prenuptial agreements. In the 2018-19 edition of Legal 500 Andy is named as a Recommended Lawyer for Family Law in the East Midlands, where it is noted that our team delivers an ‘exellent’ service. He has been a Fellow of the Institute of Chartered Legal Executives since 1996 and recognised as a Resolution-accredited specialist in the fields of Domestic Violence, Private Children Law matters and Cohabitation. Andy is committed to the principles of Resolution who try to promote the settling of issues in a non-confrontational and amicable manner. He has been a Fellow of the Institute of Legal Executives since 1996 and was recognised as a Resolution Accredited Specialist in the fields of Domestic Violence, Private Children Law matters and Cohabitation. This gave him invaluable experience and work referrals from around the country and further afield. Andy has spent his career working for law firms in the Derbyshire and Leicestershire area, and over the last 20 plus years he has built up an enviable reputation in his local area, with clients and other lawyers alike. Andy is a very successful advocate and shows a sympathetic and methodical approach to what can be an extremely difficult time for the individual and is prepared to work tirelessly to see matters through to fruition with excellent results. Andy is also prepared to be flexible in his approach to meeting clients needs in what these days is a very demanding environment. Having spent many years volunteering with the Citizens Advice Bureau Andy also acted as a Director and Trustee of the Coalville and District Citizens Advice Bureau in Leicestershire. Early in 2011 Andy attended a specialist training programme organised by Sight Support Derbyshire, equipping him with the skills and tools necessary for working with people suffering from a sight impairment or blindness. Andy is now accredited to assist blind and partially sighted individuals through the full divorce and family law process. Away from work Andy is a keen football fan, assisting in coaching a local boy’s team and enjoys walking, animals and motor sport also enjoying supporting his children in their own pursuits. 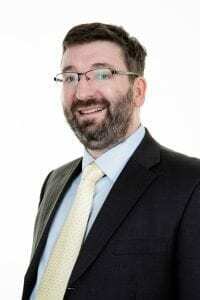 Andy qualified as a Legal Executive in June 1995 and joined Woolley & Co from a firm in Ashby de la Zouch, where he was head of department, in November 2008.